The IAF attacked and destroyed the Syrian nuclear reactor in Dier ez-Zor in the night between September 5th and 6th, 2007, in operation "Silent Tone" - a historic operation of great significance for the IAF, IDF, State of Israel and Jewish People. The Syrian nuclear reactor project operated under a heavy cloak of secrecy for about six years, and was exposed by the Israeli Intelligence Community in its final stages, a few months before its completion and operation. The premise that led Israel in its decision to attack it, was that the existence of an operational nuclear reactor in Syria would significantly impact the strategic reality in the Middle East and represent a potential existential threat to the State of Israel. The Directorate of Military Intelligence and Mossad’s (Israel’s National Intelligence Agency) efforts bore fruit in late March, 2007, when the suspicions regarding a covert military nuclear program in Syria was verified. 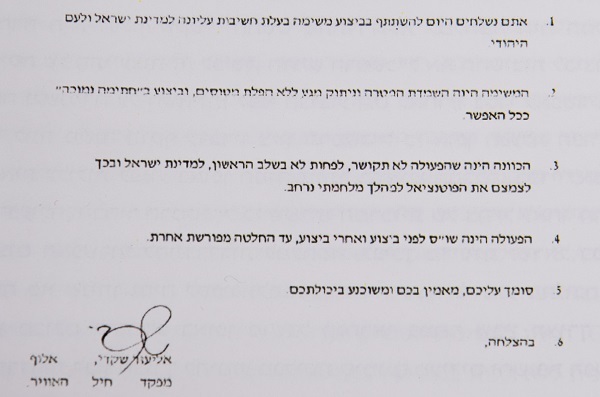 The information was relayed to Prime Minister, Ehud Olmert and Defense Minister, Amir Peretz, who instructed the IDF to prepare a number of optional aerial operation plans for the destruction of the reactor. Two days after the verification of the intelligence, then IAF Commander, Maj. Gen. (Res’) Eliezer Shkedi, first consulted a small forum of senior commanders in order to formulate an operational plan for the destruction of the facility. The forum consisted of IAF Directorate Heads, Head of the IAF Operations Department and Military Intelligence Directorate representatives. Maj. Gen. Shkedi emphasized that the mission had become a first priority and stood above all other operations. He ordered the establishment of an operational intelligence planning team, with the mission of designing an operational plan for the attack of the Syrian reactor. 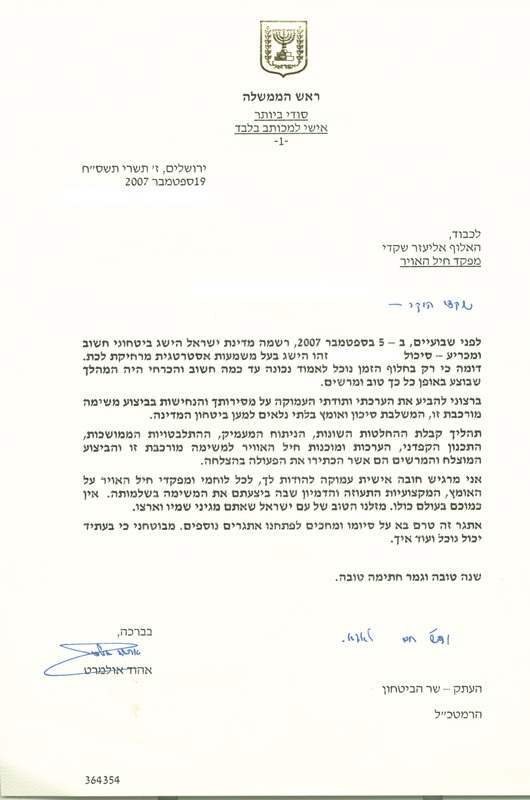 By command of the Chief of IDF General Staff, the existence of the reactor was classified under the highest secrecy. “I was in the second year of my tenure as Head of the Operations Department and the IDF was heavily debriefing the 2006 ‘Second Lebanon’ War. The intelligence was given to the IAF around March 2007, and the IAF Commander initiated a battle procedure that I was responsible for executing”, shared Maj. Gen. Amikam Norkin, today the Commander of the IAF. “We met with Head of the Operations Department on April 10, at 07:00 AM, and he told us that there was a nuclear reactor in Syria. Just like that, very concretely. The command was that we needed to be able to attack the target in one month. We had to formulate an operational command, a model validating the attack plan and an operation plan for war, if it were to break out as a result”, recalled Lt. Col. (Res’) Shay, who headed the team that planned the operation. “I remember that I was supposed to be on call in my squadron that weekend, I called the deputy squadron commander and told him that I couldn’t make it, which was very unlike me. When he asked me why, I told him it was work matters. I need to know what it is, he asked. I told him that in due time, he will know. A few years later, he told me that that was the first clue to the fact that something special was happening in the IAF”. “One day, a meeting with the Head of Air Division, appeared in my schedule. He said to me, this is the situation; the Syrians are building a reactor and the orders are to attack it”, recalled Col. (Res’) G’, who was chosen to serves as the “Red” (aggressor) force in the planning process of the attack. “That same night I entered a small side room in Operational HQ where the planning team was working. The existence of the reactor came as a big surprise; the IAF had dealt with the Syrian theatre and with its aerial defense division to a great extent, but it didn’t plan for this”. “In the IAF – many people knew about the aerial operation, but not about the target, and in the Military Intelligence Directorate, many people knew about the target, but not about the operation”, shared Lt. Col. (Res’) S'. The first steps he took in planning the initial operation plan, which the team was asked to present in three days’ time, was to study the IAF attacks on the Iraqi nuclear reactor in 1981 and the PLO headquarters in Tunis in 1985. “Inside the planning team we defined three damage criteria – hit, critical hit and destruction. We analyzed the methods to achieve each one, and the consequences for the other side, how long will it take them to recover. Every type of armament we used in the operation corresponded with a different damage criterion. When choosing the munitions, besides the result they produced, we tested their credibility and conducted risk assessment. Armament can do a good job, but if you know that there is only a 70% chance it will work, you will reconsider. There were things we tested and did not succeed, and it goes to show that we were daring and tried many options”. The operational plan was completed in a month. 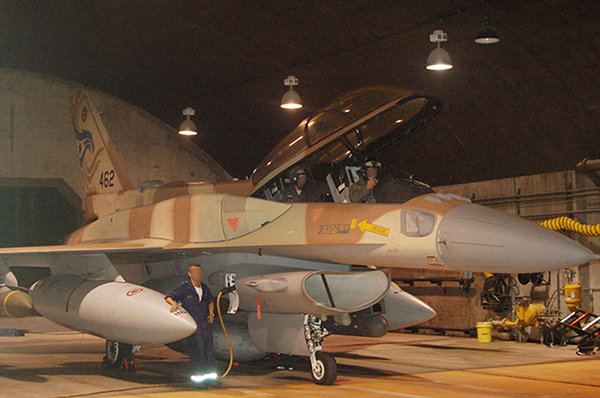 The IAF was prepared to operate just 12 hours after the decision to attack. 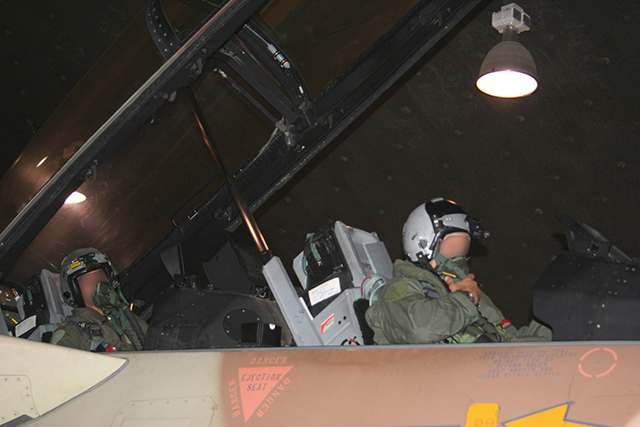 Ra’am” (F-15I) and “Sufa” (F-16I) fighters were chosen to perform the mission. “We begin flying long-range flight models, some focusing on the flight routes that we later utilized in the mission. We were told that the flights were simulating something, but we weren’t told what. A betting exchange began – that we eventually all lost”, shared Lt. Col. Y', an aircrew member from the 69th (“Hammers”) Squadron, who participated in the attack. “I simultaneously headed a unit in the Weapon Systems Department and I was responsible for all of the fighter jet armament in the IAF, and we were suddenly requested to perform dozens of different ordnance drop tests in a very short period of time”. Col. (Res’) G', as the “Red” team leader, assisted the planning teams by doubting their thinking and examining the feasibility of their designs. “A ‘Red’ team needs to identify faults in the process and examine the possible outcomes of mistakes. What if there are countermeasures around the target? What if there is aerial defense? The Red team has to assume that there are surprises around the target”. In July, another variable was added to the equation, a variable that affected the flight routes, amount of aircraft and most importantly, the other side’s response. “The emphasis on stealthy execution was part of an order to do everything we could to avoid confrontation with the other side. While the original rationale was to destroy the target with great certainty, in the new operation plan, 'Silent Tone', the emphasis was destroying the target while minimizing the risk of war”, explained Lt. Col. (Res’) Shay, head of the operation planning team. The transition to "Silent Tone" clarified the need for mental flexibility. 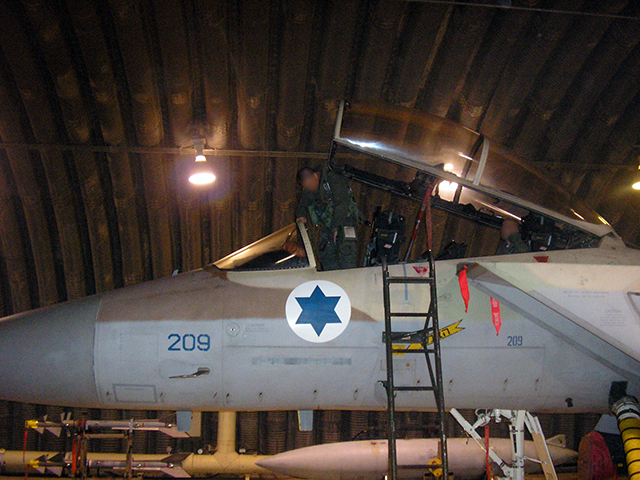 Fighter aircraft are usually associated with noisy activity, the "Silent Tone" plan – stealthy destruction of the reactor, was a fitting alterative for Israel’s desire to contain the Syrian side and prevent escalation. The main differences between the plans were the routes taken to reach the target area, Deir ez-Zor in north-east Syria, the number of aircraft operated and amount of ordnance dropped. “When choosing the new flight routes, we opted for ones that allowed for the best entry possible”, clarified Lt. Col. S'. 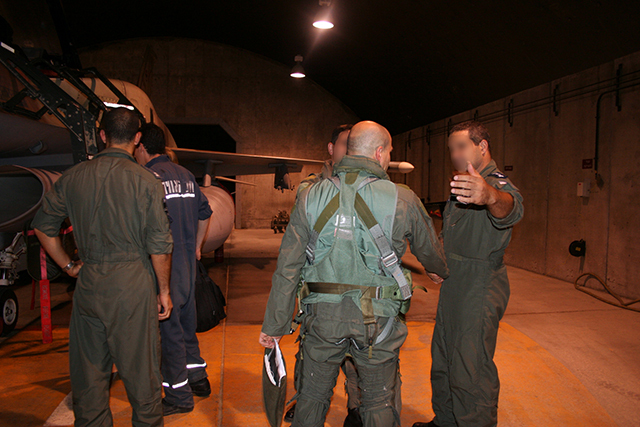 The operation’s name was changed to "Silent Tone" as a result of compartmentalization considerations and chosen by a forum led by Head of the IAF Operations Department. The operation’s name was of great importance to the planning team in a number of aspects. One of these was the emphasis of the conceptual difference from the name given to Operation “Opera”, the attack of the Iraqi nuclear reactor in 1981. “We put a lot of thought into the name. As the planning team, our mission was to provide an excellent plan, but also make sure it corresponded with what the decision-makers wanted. We understood that we had to characterize our plan as a stealthy alternative. We knew that the word 'silent' had to be part of the name; our message was that it was going to be something silent and small that gets the job done. And it really did work quietly and properly”, said Lt. Col. (Res’) S'. Towards mid-July, IAF personnel began to feel as if they were racing against the clock. This feeling arose from a number of factors: the project's progress, which was expected to be completed in November, the seasonal change, and the fear of a delay in the operation. While the state leadership requested to make the operation plan as quiet and minimal as possible, the need to prepare the IDF for war in the northern theatre in case of a Syrian counterattack arose. "Besides planning the operation, we had to prepare the IAF for war. There was a great complexity in such preparations just one year after the end of the 'Second Lebanon' War. Nobody in the air force understood why they suddenly had to prepare for war", recounted Maj. Gen. Norkin. "During that time, everyone felt a rise in alertness in the northern theatre, but did anyone think it was because of a fear of a retaliation the day after the operation? We didn't know there was a day after because we didn't know the operation due to happen. We only knew we were preparing for something", said Lt. Col. Y'. September 5th, 2007. 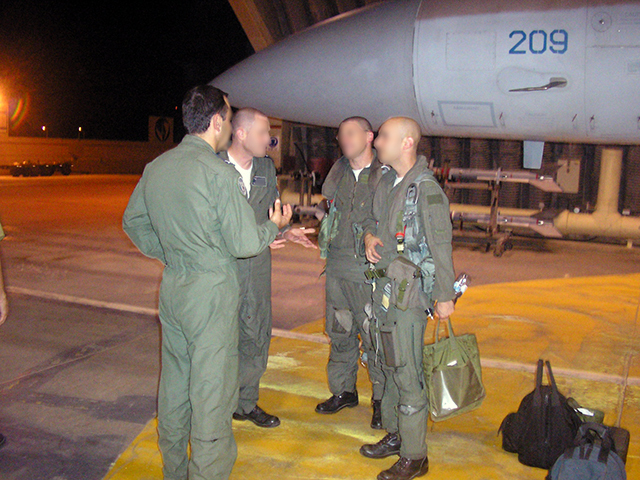 Following the IAF Commander's final consultations with Head of the Operations Department, it was decided that he would meet the pilots personally and reveal the attack's target. Besides taking the opportunity to clarify his policy, it was also an opportunity to shake hands with the attacking aircrews and elaborate on the attack's national significance. 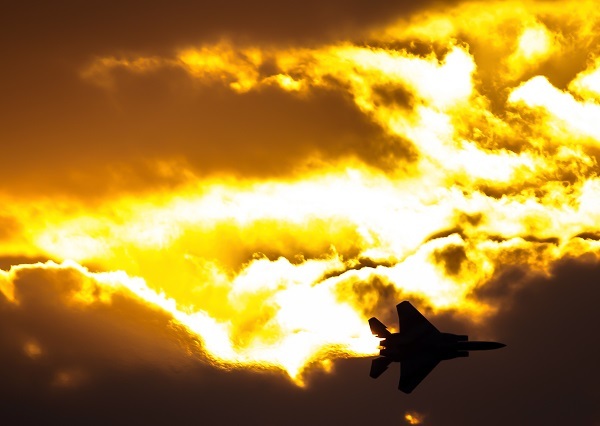 The IAF issued an order to heighten combat readiness. "We sat in a special operations war room, those who were selected to attack, unaware of the IAF's preparations. Twelve hours before the attack, we received our maps and had to begin planning. Based on the models we trained, we knew that we were going to attack in Syria and that this was not a simple radar target but a significant one. We didn't think it was a nuclear reactor, but when they revealed the target I understood immediately", recalled Lt. Col. Y'. Late in the afternoon, the Prime Minister and Minister of defense decided that "Silent Tone" would be the chosen operation plan. Maj. Gen. Shkedi felt that addressing the pilots personally was of operational significance, in order to emphasize the transition from routine security measures to a strategic operation while stressing the pilots' responsibility. At around 7:00PM, the target was revealed to the aircrews. "Combatants, today you will be sent to participate in a mission of great importance to the state of Israel and the Jewish people. The mission is to destroy the target and disengage without aircraft losses, as stealthily as possible. The mission is kept under the highest secrecy, both before and after execution, until further notice. I trust you, believe in you, and am convinced of your capabilities. Good luck, Eliezer Shkedi". "The arrival of the IAF Commander at the squadron was very significant for me. His messages helped me focus on what was important – performing the mission, not being intercepted, not intercepting, and doing whatever I could to make that happen. As the ones executing the mission in the field, it helped us understand the gravity of the mission and the responsibility on our shoulders, as well as the amount of flexibility we are permitted in order to achieve what's needed. Understanding that we’re fully trusted, and that we have the authority to do what we think is right in the field –focused us and gave us a sense of mission", said Lt. Col. Y'. The "Ra'am" (F-15I) formation that led the assault took off from Hatzerim AFB at around 10PM. The second formation took off two minutes later, joined by the rest of the "Sufa" (F-16I) fighter jets, and they refueled together in the air. The aircraft took off in radio silence. 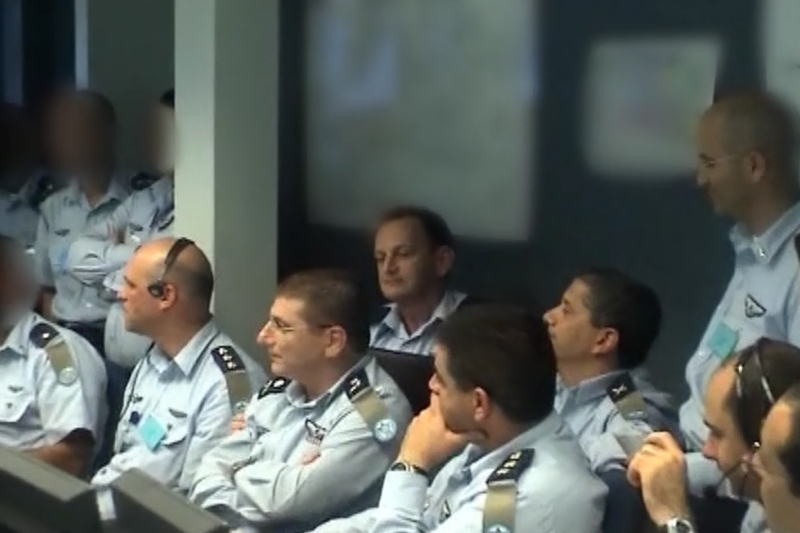 While the aircraft were on their way, the Prime Minister, Minister of Defense, Minister of Foreign Affairs, IDF Chief of General Staff and his deputy, Head of the Military Intelligence Directorate, Head of the Operations Directorate and several other senior IDF officers arrived at the Central Combat Control Unit. 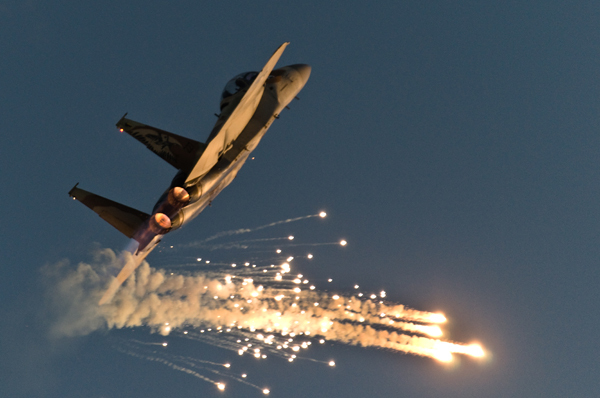 Around midnight, the leading formation had reached the necessary distance from the target and began ascending in preparation for the attack maneuver. The ordnance drop occurred minutes later. The aircraft broke contact, and the next formations followed in order to attack. After all the munitions were dropped, the final "Sufa" fighter's WSO radioed "Arizona from all of us", meaning that all of the bombs hit their target and exploded as planned. The tension in the control station eased when the report arrived. The IAF Commander made it clear that the mission had not yet been completed, and that the crews had a long way to go until they landed. At 2AM, the first formation landed at Hatzerim AFB, with the second formation following just five minutes later. The aircrews were welcomed with open arms upon landing. When they arrived at their squadron, they realized that the airbase was preparing for a Syrian response. At this stage, the operators assembled at the briefing room for a debriefing of the operation. The videos showed that the bombs all hit the targets exactly on time. The patrolling forces returned to their bases. The units remained on ready alert, and thus begun the second operation: an Israeli response in case war should occur. The first half of the day following the attack included preparation for a Syrian retaliation. The second half was made up of a return to routine. "As soon as I landed after attacking the reactor, I saw that I was bound to participate in an attack formation headed to Syria. To this day, I remember that weird feeling when we landed. It was a small number of people focusing on planning the attack, and when I entered the squadron building everyone was there, including the reserve service members. The tension didn't dissolve because a war could break out at any time. We performed a mission the best we could, and here we are, prepared for the next sortie". For Lt. Col. (Res') S', five months of hard work have reached an end. "I remember seeing the tapes showing the attack. I thought that the preparations for the attack were a lot like preparations for the Olympics. We had five months of preparation which concluded with just a few hours of operation, in which just a few minutes were critical". "The return to routine was very quick. We felt a great satisfaction which we couldn't express. The dissonance is always there – you do big things, and can only talk about it with your partners in operation. You can't tell your family", said Lt. Col. Y'. Whenever Deir ez-Zor would show up in the media in the following years, conquered by ISIS or the rebel forces, we would wonder what would have happened if the reactor was active and usable. The answers range from a threat to the existence of Israel to disruption of the area's strategic balance. 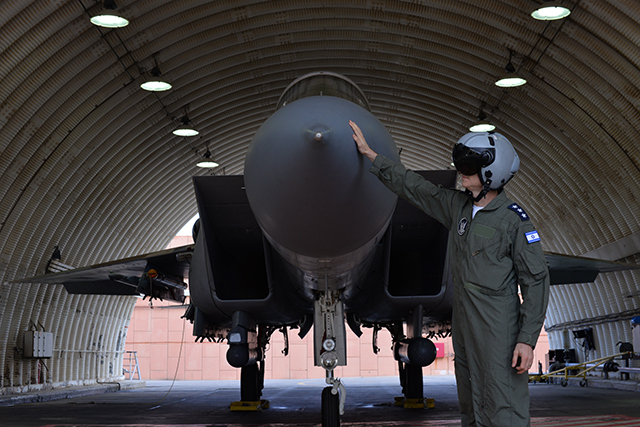 "When faced with today's reality, the decision to destroy the reactor is one of the best decisions made in Israel over the past 70 years", declared Lt. Gen. Amikam Norkin, Commander of the IAF. "The principles according to which the IAF prepared for the attack are also the IAF's principles today. They help the air force maintain its relevance". 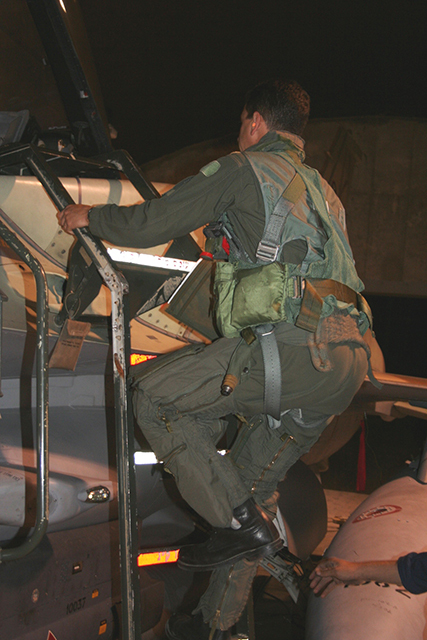 The operation is important not only in the history of Israel, but also for the heritage of the IAF and its service members. "From the moment we began talking to the Head of Operations Department, we realized that we were facing an event of national significance", said Lt. Col. (Res') S'. "During this operation I learned that when facing a crisis, every branch and department in the IDF can work together and focus on the mission". Then Prime Minister Ehud Olmert concluded, two months after the operation: "There were many disputes regarding all sorts of alternatives, but in the end, we all know one thing – the strategic force, which makes the difference in Israel's international strength, is the aerial force. Our aerial force will be the determining factor in all possible confrontations that we will possibly – hopefully not – deal with in the future".